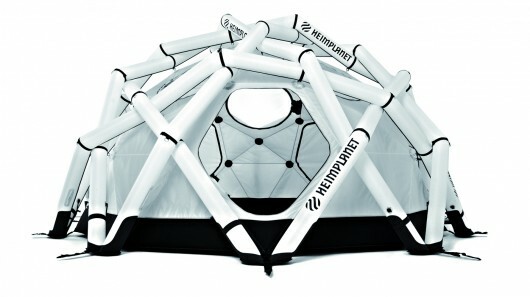 If you’re looking for an alternative to the hexayurt for this year’s Burn, and you have a little money to spend, you might want to take a look at Hemiplanet’s newest product. 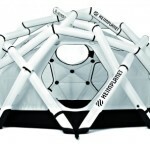 The dome shaped ten person Mavericks expedition tent uses an inflatable external skeleton instead of metal or fiberglass poles and it is rated to stand up to 112 mph winds! Get ready for a little sticker shock, though. This baby retails for $6730.00.